Moving to a new home can be a challenging, if not dangerous, process. Here are some tips on moving heavy furniture and how to avoid any injuries during your relocation. When relocating to a new home, most people will face the decision of whether or not they want to hire professional movers. While this choice will be based on factors including your budget, time constraints, and distance, it’s important to remember that moving, especially if you have heavy furniture, is not always as simple as it sounds. 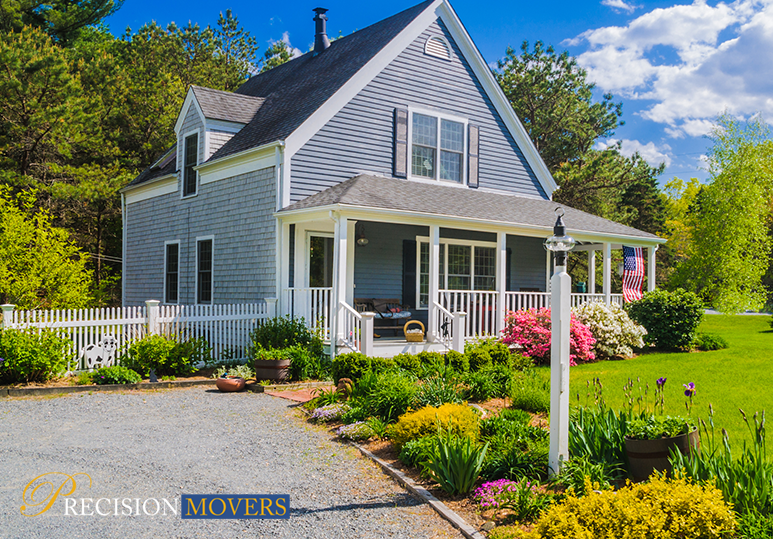 At Precision Movers, we offer a wide range of relocation services from piano and organ moving to heavy and luxury furniture moving to help you achieve the most cost-effective, safe, and efficient move possible. There are many challenges you may face when moving, be it the weather or the time. In many cases, it can be easy to become frustrated or stressed out with the process, and this state of mind can lead to injuries during the relocation. Moving injuries are more common than you may think and in order to assist you in transitioning to your new home. Due the amount of heavy lifting that is often involved in the moving process, back injuries can occur easily if the proper precautions are not taken. That’s why it’s so important to pick up things using the correct form. Squat low to the ground using your knees and legs as much as possible. Remember that too much bending at the waist can place undue strain on your back muscles. Use common sense. If you know an item is too heavy for you to lift, don’t attempt to do so. Always ask for help. Remember, your back is used for a variety of everyday activities, so it’s important to take care of it when you are moving. Broken hands, fingers, and toes, are very common during the relocation process because people often drop heavy objects on these parts of the body. Making sure there is a clear walking path so you can avoid tripping over items while carrying heavier ones. Communicating with the people around you. Following these simple steps will go a long way to prevent injuries to your hands, fingers, and toes, and may even save you long-term pain and overall inconvenience. During the relocation process, there will be a lot going on and it can be easy to cut or scrape yourself on sharp objects or due to a fall. In order to avoid this, consider wearing multi-layered clothing. Wearing jeans is a great way to protect yourself. With all the rushing around during moving day, all it takes is one wrong step or twist to cause a sprained ankle and derail all your relocation plans. To avoid this, consider wearing heavy duty work boots or running shoes with the right type of support. Extra tip: To avoid such injuries, one of the most important things to remember is to take your time. Slow and steady always wins the race. One of the best ways to ensure your move is as safe, quick, and cost-efficient as possible is by hiring professional movers. At Precision Movers we have the expertise and equipment to make your relocation a stress-free and injury-free experience. To find out more, contact us at 403-540-4393 or fill in our online contact form.